As 14-year-old Mogadore High School freshman Logan Penix was gearing up to play in a weekend tournament with his travel baseball team last year, he suffered a season-ending anterior cruciate ligament (ACL) tear in his knee. Logan’s parents sought the care of sports medicine physician Michelle Burke at Akron Children’s Hospital, where an MRI revealed he had torn his ACL as well as his meniscus, the knee cartilage that cushions the knee joint. With that timeframe in mind, orthopedic surgeon Paul Fleissner performed the ACL repair using part of Logan’s hamstring to make a new ACL. He also repaired 5 tears to the meniscus. But, Logan still had a long road of rehabilitation ahead of him. 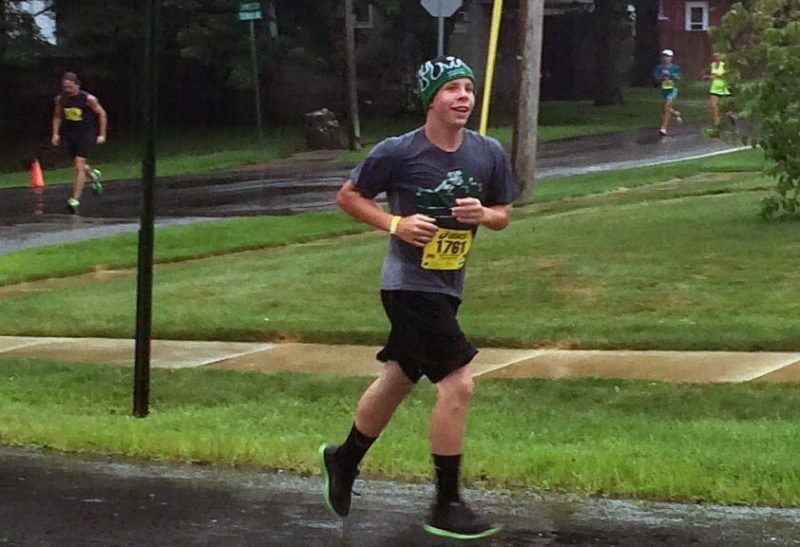 Having run on the middle school track team and broken a number of records, Logan was determined to run in the Mogadore Wildcat 5K that he had placed well in the year before. During football season Logan worked with Akron Children’s athletic trainer Steve Lutz who was also the on-site trainer at Mogadore High. “Steve would keep an eye on him and check in with his physical therapists to ask what he could do and what he shouldn’t do,” said Jason. Logan’s perseverance paid off when he got some field time in the final playoff game of the season. “It was a proud moment for him,” said Jason. Logan still does some prescribed exercises at home to minimize the chances of repeating the injury.